Subfractal and fractal units are determined by the nadir lows. The sub fractal anatomy of a x/2-2.5y/1.5-1.6y decay fractal ending a 10/25 month first and second fractal series of a 10/25/20 month blow-off progression within the 89 year third fractal terminal portion a 36/90/89 year x/2.5x/2.5x Hegemonic fractal blow-off progression of a 1807 213 year US macroeconomc asset-debt system. 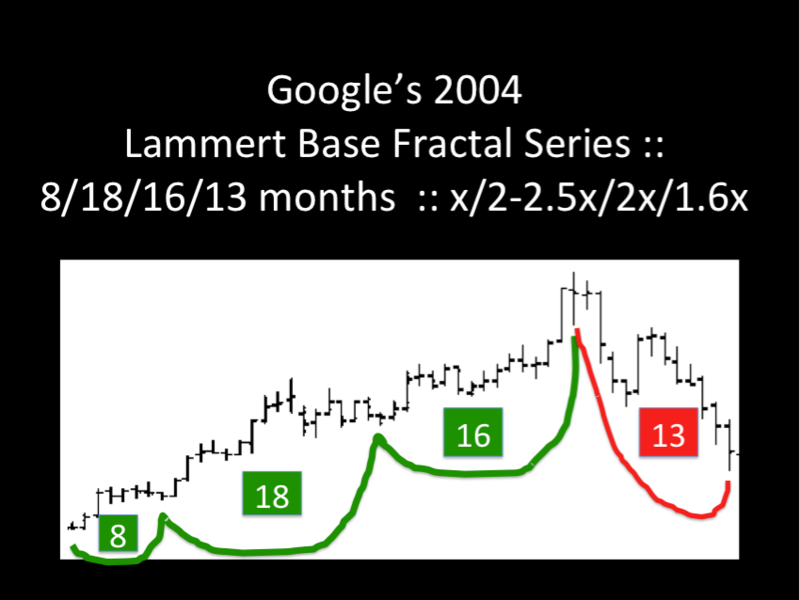 The terminal portion of a 25 month second fractal … to a 10 month first fractal base. Expect a flash crash. A March 2009 5/12 month (18/44 weeks) nonlinear flash crash occurred on 10 May 2010. This was an expected subfractal series second fractal nonlinearity within the new simple fractal progression construct that appears, in a scientific patterned manner, to be governing mathematical model for the global asset debt macroeconomic system. Using the Wilshire 5000 as the global system’s hegemonic proxy, the system is now at a 10/25 month :: x/ 2.5x subfractal juncture in a x/2.5x/2x-2.5x or 10/25/20-25 month blow-off that will take the system to its peak 2020 valuation apogee. Nvdia, the proxy for new 21st century human entertainment and human replacement technology saw nonlinearity on 16 November 2018. As with the flash crash on 10 May 2010 expect more nonlinearity over the next 7 trading days … prior to the 20-25 month global equity blow-off. While US consumers are at record debt levels, they are also at near record absolute employment numbers with relatively low interest rates and generous debt terms to further expand, with further debt load expansion, the US and global economy during the next 20-25 months. Is there a (remarkable) mathematical order to the global asset debt macroeconomic system? Observe the ordered valuation patterns using the underlying asymptotic line defining the low valuations of the grouped Lammert fractals since the March 2009 lows for the hegemonic Wilshire 5000 and the other leading global EuroAsian Equity markets. 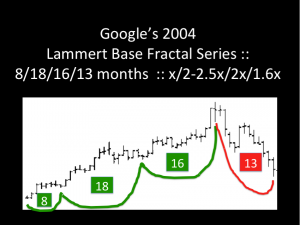 Observe the simple growth and decay fractal patterns described in the 2005 and 2009 postings: 2/2-2.5x/2-2.5x/1.5x and y/2-2.5y/2-2-5y and ask if the observed subsequent patterns have occurred by chance or rather are they transpiring by inexorably deterministic causal mechanisms inherent to natural intrinsic fractal ordering of the asset debt global macroeconomic system? Now consider a minor aberration in the underlying asymptotic low to low composite equity valuations caused by ex nihilo money printing and near zero interests by the Federal Reserve and in Europe negative interest rates aka quantitative easing, and stimulus programs such as cash for clunkers and created cash for unfunded, nonperforming aliens entering European and American borders lured by social support program and fiat Euro and US dollars. Now consider the long pattern of the great hegemonic Roman Republic replacement, the United States of America, protected by the expanses of two great oceans from the local ravishes of the effects of World War I and 2 so strongly witnessed by other participating European and Asian winning and losing nations, losing millions of their countrymen and women and children and their infrastructure. The hegemonic fractals series of the US appears to begin with an initiating fractal of 18 years from 1790 to 1807 nearly concurrent with the ratification of the US constitution. Since 1807 there has been a 37/90/87 of 90 year blowoff of a x/2.5x/2.5x pattern which would end in 2020-21. The March 2009 Wilshire pattern is a 5/13/10/7 and 3/7/6 months or 45 months base fractal. followed by a 10/25 of 25/1 of 20-25 month blow-off fractal. For a 10/25/20 month x/2.5x/2x Wilshire fractal , this would represent a 45/92 month :: x/2x fractal beginning in March 2009. This makes qualitative and quantitative sense under the larger umbrella of a (18)36-37/90/89-90/54 year x/2.5x/2.5x/1.5x United States Hegemonic Fractal Series. through necessary and appropriate money expansion. The global economy will persist. A prudent global monetary banking policy would be to raise interest rates to control the final speculative blow-off. With the coutervailing political needs, this likely will not happen. Anticipate tulip valuations in the final 20 month blow-off period of the 267 year US hegemonic asset debt system.